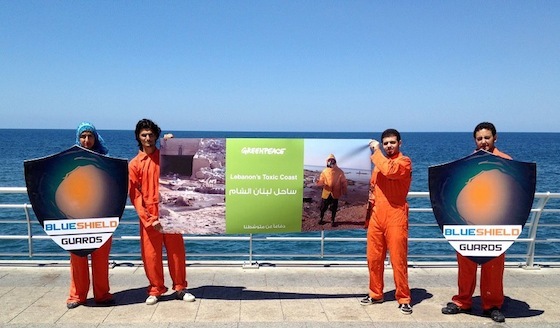 The Greenpeace Mediterranean staff in Lebanon knew they had a problem on their hands when they saw industrial pollution peaking along their Mediterranean coast. 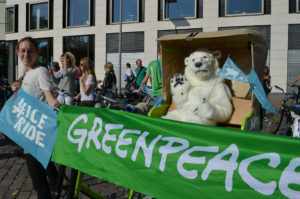 They also didn’t have the data, documentation (including photos and video), or people resources to mount a successful campaign to curb the pollution threatening the country’s economy and pride. Scientific reports don’t usually build public support or drive advocacy. Data is vital, but it doesn’t motivate change on its own. Marchers call for protection of the coast near the Tripoli shore of Lebanon. Photo courtesy The Daily Star/Hasan Shaaban. The team in Lebanon crafted a plan to invite individuals into the research gathering effort. But these people wouldn’t become ordinary volunteers — they would be “secret agents” and “Blue Shield Guards,” prepared to bear witness to the coastal pollution. In early online (email, Facebook and web) and offline (on the street) communications, people were asked if they could keep a secret. If so, then sign up. Street teams brought inflatable boats to events to help get attention. Those signing up online were introduced to the secret in email and online video. The campaign recruited over 4,000 Secret Agents and relied on these people for a variety of campaign activities. Agents were invited to identify polluted coastal locations by completing specific reporting forms. 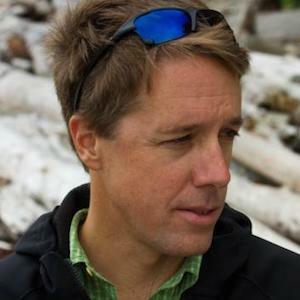 They could also help scout these locations on the ground and join staff collecting water and other samples. These hybrid staff/volunteer teams traveled Lebanon’s coast, investigating factories dumping directly into the sea. They were able to speak with factory owners and employees. While collecting environmental samples, Secret Agents and staff also took photos and shot video. Organizers sent content to other Secret Agents during this phase of the project to keep everyone motivated and updated. They also wrote about and posted their findings online. These stories, like this one in January, 2012, also rewarded volunteers that were involved by letting them witness public sharing of their work. The video above, released last January, documents work of Secret Agents scouting toxic pollution along the Lebanese coast. When field research — and photos and video — were complete, the team asked Secret Agents to attend (of course) a secret meeting. It was time to start building the public support and media attention for the project that would be needed to keep supporters and decision makers engaged until the report was released. Approximately 50 people attended the first meeting. They were asked to become Blue Shield Guards, defenders of the sea, and even given a badge to prove their status. They were told they would be contacted soon for their next mission. The first action was set for Earth Day — a public gathering and march at the country’s northern landfill. The 50 Blue Shield Guards were called as were 200 regular volunteers. About 60 people in all said they would attend. These 60 were phoned three days before the event to confirm and sent an SMS reminder one day before the event. The result? Only 17 people showed up to the Earth Day action. This potentially disappointing result was matched by only one media outlet coming to the event (an outcome pinned on having to email Lebanese media, not call them personally, due to lack of staff at the time). For the second event, the team sent email, made a series of calls (7 days, 3 days and 1 day prior), and sent an SMS the morning of the event. They also sent email and followed up to confirm with local media. The result this time? 45 people came out, along with five media stations. The extra phone call and confirmations helped. Nearly a year in the making, the final report was launched in late-August. The release of a scientific advocacy report entitled “Lebanon’s Toxic Waste: An Overview of Threats, Problems and Solutions” might be met with cool silence from media, the public, and even supporters. Instead, media coverage and popular interest in the report was extensive for Lebanon — several television, radio, online and print journalists personally attended the public release event. Staff report that several weeks after the report launch, emails and phone calls about the report continue to come from newspapers, blogs, media, municipalities, universities and others. The campaign team credits the report’s success with a strategy of engaging its supporters deeply in the campaign throughout the process — rather than simply notifying them via email after the work had been completed. 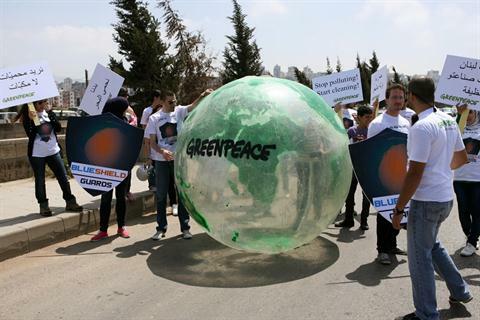 This project was a first in many ways for Greenpeace Lebanon. Digital media — photos, video, online ads, SMS and more — was deployed in new ways or used more intensively for the first time by the organization. The deeper emphasis and even reliance on citizen engagement to support the campaign was also new. Data matters: A database can be very helpful in managing mobilisation projects. This project had over 4,000 volunteers so it was critical to have more than email addresses. To engage people efficiently, we needed to know where people were, their phone numbers, and what they had done with this project. Multichannel: Don’t just use online communications. Phone calls (more than one) and SMS reminders really made a difference in getting people to attend activities and events. Meaningful roles: Give people significant roles in crafting and implementing pieces of the campaign. People are more motivated to get involved when they know staff aren’t doing everything, and when they know that their work truly matters to the outcome and success of the campaign.